They say you can’t judge a book by its cover, and that’s true. I have nothing against John Denver (nor anglers smiling with big fish). 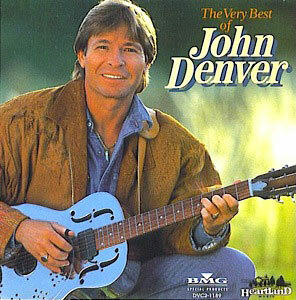 I actually met John Denver once, and he was really cool to me. I love his music. I wish he were still around to make great music. His voice was so pure. And I don’t care how cliché you think this is, but when you listen to the words of “Rocky Mountain High,” if you’ve ever walked above the treeline as a thunderstorm rolled over the peaks, (or if you’ve ever ditched a cushy desk job to go live in the mountains), you realize how much profundity and honesty are packed into those lyrics. But I think you get what I’m driving at. If we want to be more than a middle-aged and, above all, white-bread sport, shouldn’t we at least try to lose the “formula?” Is it any wonder why some websites (like this one), blogs, E-zines, and a scant few printed publications get the traction they do when those are some of the few places where an angler can find the classic… the abstract… and the edgy in a visual context? Fly fishing will never be a “mainstream” sport. In the music world, jazz pioneered the notion of embracing the abstract. Check out some of these album covers that were produced before many of you were born, and you’ll get my drift. And how about those classic rock albums? If your album cover wasn’t a “cultural icon,” a shock to the system, or in the least, a bold statement, that thing wouldn’t sell. Sticky Fingers, by the Rolling Stones… Boston (the debut album)… Pink Floyd, Dark Side of the Moon… Who’s Next by The Who… Led Zeppelin, Houses of the Holy… any Electric Light Orchestra album… The Beatles’s Sgt. Pepper… Clapton’s Slowhand… I’m sure you could chime in with dozens of others, if only you’d remember what was hanging over your bed in seventh grade, or the scribbles you drew in your high school chemistry notebook. I’m not suggesting fly fishing magazine editors should to go completely wild (and again, some are making wonderfully profound and interesting covers right now). I certainly understand that, in this day and age, sticking to the script is safe and effective. But would it kill you to put a carp on your cover? When you find that beautiful woman to grace the front page, must you make her appear “token” because she’s holding the same fish in the same way that all the old men do? Get a little abstract. It isn’t going to kill you. And it’s not going to repulse your audience, especially if the “inside stuff” is great. In fact, you might just grow your audience.